The Kingdom of Calradia is a new clan, featuring a predominately Viking themed roleplay environment. We're a clan that's heavily reliant on our members being active on the server, and with other members of the clan. We pride ourselves in our military order and our efficiency in regards to completing set tasks and missions in a hasty yet orderly work rate. 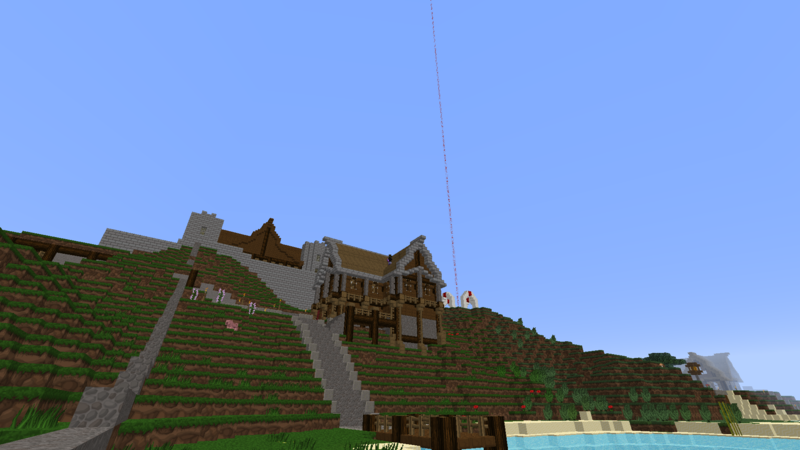 Each area within the clan has a strong team supporting it, such as our resource gathering team and our builders whom are among the best on the server in regards to building Viking themed constructions. Obtaining a Government rank inside of the kingdom is solely in the hands on the Oberjarl, and you must provide him with at least 6 strong reasons why you deserve your desired position. Once you've spoken to the Oberjarl, you must wait until he comes back with his decided result. Do not ask for a position if it is already filled. Oberjarl: The Oberjarl is the leader of the kingdom, he has the right to revoke and decisions made by the Jarl and the Thanes. Jarl: The Jarl is second in command to the Oberjarl. The Jarl is the voice of the Oberjarl during times that the Oberjarl is unable to make decisions. The Jarl is the leader of the Thanes, and thus is in charge of monitoring all Thane discussions and present their findings to the Oberjarl. The Kingdom of Calradia requires each citizen to have an occupation. Miner: Miners are those whom have devoted their lives to uncovering the gems of the world, and more importantly... their value. Farmer: Farmers spend their days tending to the fields, returning with bountiful harvests to sell to merchants so the citizens can live their lives with full bellies, and no worries. Builder: Builders are the select few whom use their architectural ability to create the masterfully artistic buildings in Calradia. Oberjarl / leader can do what he wants. Thanes can kick and call STATE OF EMERGENCY. What is State Of Emergency? (after the state of emergency all the actions of the thane in charge during state of emergency will be held responsible). *ALL land that is in Kingdom Of Calradia borders fall under the control of the government and the thane that called STATE OF EMERGENCY even if the land has been payed for. *ALL CITIZENS AND THANES WHO DID NOT CALL STATE OF EMERGENCY MUST DO WHAT THE THANE THAT CALLED STATE OF EMERGENCY WANTS. * The Thane that calls STATE OF EMERGENCY tell all Ranks in chat 3 times in a row and must talk to the other Thane that are online. No harrassment or disrespect to anybody, even those not in the kingdom. Respect all members of the server, especially members of the KoC. Do not betray the Kingdom. All KoC citizens have the right to uphold and retain private property, as long as it's in agreement with the Thanes, Jarl or Oberjarl. If a builder constructs a building, it is his role to sell the building if that's what the builder desires. If any or all of these building rules are not followed, then the structure is liable to an order of edit (You recieve one week to edit the structure to a reasonable manner), then an order of eviction with demolition following. (For non-citizens) Anyone trespassing on KoC lands will be removed or turned away upon attempt to enter if they lack a passport. Failure to comply this request will respond in the Guard or Guards on duty acting as they deem fit to the situation. the building that you built is owned by you until someone moves in or captured by the government (need to be approved by the judge ) Once someone moves into the building they own it unless it is a government building then no matter what the government still owns it and always will. if you see someone who is not a miner mining (unless they are a thane or Jarl or Oberjarl) then you must tell your thane and you are to take and keep all ores or items that the false miner had. You have more power (IN A MINE) than any working class person alike yourself. the crops that you planted are owned by you unless they are planted out side of the given space for YOUR farm. if any of your crops are taken you can go to court once you have found out who it was. The Judge And Courts Rights. If the Judge at the time is a Thane or a Jarl then the Thane or Jarl has their normal Authority outside the courthouse. 8.A brief (1-3 sentences) description of your role play character (With full Roleplay Name, Remember we are vikings so try keep in theme):? 9. Have you been apart of any other clans? If so, which one(s)? 10. Why did you choose the Kingdom Of Calradia? gard potet is an old scholar who in his youth spent time studying in the mountain and unlocking the inner workings of redstone. But when times of war struck he joined his brothers into the battle fighting nobly. When the war was over he left it mountain home because he felt a need to serve the people and rebuild after the war. 8.A brief (1-3 sentences) description of your role play character (With full Roleplay Name, Remember we are vikings so try keep in theme)? : Nikoru was a young girl that was trained by her dad to survive in the world alone, 2 years later her home was attacked and her father killed, she ran away and started to travel around living in caves and old villages, she has grew knowing new skills and now wants to settle down somewhere nice. 4. A little about yourself: I'm dedicated gamer, i've played since i was 10 and started on minecraft the year it began. Name, Remember we are vikings so try keep in theme): Damon Rize was a young, yet ambitious man. Coming from his home country of Zike he was raised as a military assassin from a young age. His teenage years involved slaying monsters under his father's watch, and taking care of the village's enemies in the sneakiest way possible. One day an attack on his village during his absence has caused the death of the whole tribe, including his father. The young warrior has rebuilt the village due to his master of the block crafts. Now he seeks revenge. 9. Have you been apart of any other clans? If so, which one(s)? Some in the past, cant remember the names. 10. Why did you choose the Kingdom Of Calradia? - I feel like i need a solid clan and new friends to spend time with. 4. 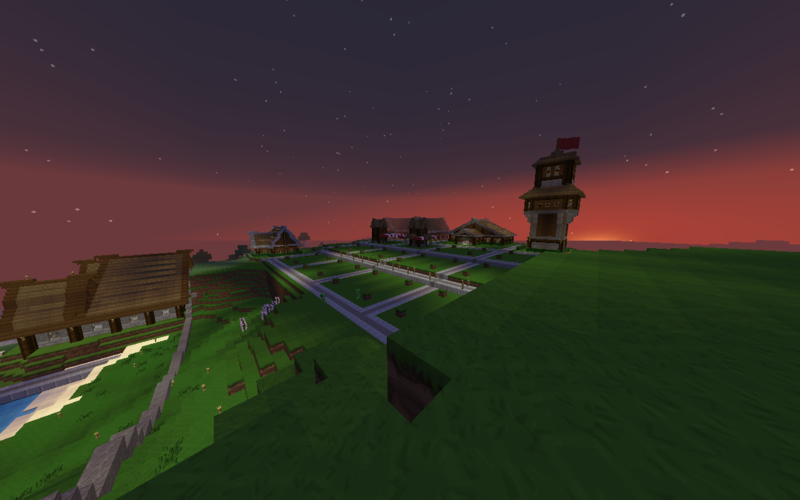 A little about yourself: I love building and role-play like clans. Been playing minecraft for 3 years and am very active. Ari Dragonclaw is a young Viking who is experienced in building, archery and handy with an axe. After his village was raided and pillaged he has been on the run searching for a safe home to work and live permanently. 10. Why did you choose the Kingdom Of Calradia? : Looking for a clan currently still expanding that has building to be done as well as with active members. Remind me to get some screenshots of your builds next time I'm on the server. Might as well show them off on here. 4. A little about yourself: I do sports and I game alot with friends. TweTwee a skill full builder and a good farmer. Grew up a rough life in the farming field. He is a man of trust who you can depend on to get you food. He is a man of his word. He tend to the field unless needed to help build. 10. Why did you choose the Kingdom Of Calradia? : Cause I like working with other people and communicating. Its something I tend to do on a daliy basis. 4. I am from the United States. I am a senior in high school. On my high school's bowling team and the main server I play on is the Nexus. 5. I have decided to be a Soldier with a Miner as my normal occupation. 8. JayGunnar is a male who didn't know what he was meant to do in life so he set off and discovered his passion for fighting. 9. I have not been a part of any clan like this before. I was in a Hunger Games Clan on the Nexus though. 10. I chose Kingdom Of Calradia because this seems really fun and Varioth seemed very nice. i am a highly skilled miner who has worked for many before. 4. A little about yourself: I love Minecraft and have been playing for almost 4 years. I have a passion for cartographing and soccer. 7. How many hours a week can you be on for? : At least 2-3 hours a day. 8.A brief (1-3 sentences) description of your role play character (With full Roleplay Name, Remember we are vikings so try keep in theme): Pablo Terrowin was a strong man. Growing up in the farmlands. He was hard-working and very bulky. After years of labour he was sent off to war. He fought bravely and came back a hero. Nowadays he settles down in the farmlands and tends to the fields and livestock. 10. Why did you choose the Kingdom Of Calradia? Because it seemed more active and friendly than my older clans. And has lots to do. So far in our first week our members have been incredibly active and we have done alot of work to get our capitol city Hallasholm built up.